It’s that time again – classes are in session. This means a lot of driving for many Americans, from school drop offs to sporting events. Back to school is a chaotic time for most families, but your vehicle’s safety should never be neglected. Whether you will be participating in a carpool, or have a child old enough to drive, here are some steps you can take to certify safe commutes. First, make sure all your lights are working so that you can see well and cars can see you. Having functioning lights is especially important for those early foggy mornings. Visibility is vital, which is why you should top off your wiper fluid and make sure your wipers are working properly. Sometimes we do not notice how bad our wipers are until we are in the middle of a storm, which is already too late and can lead to dangerous situations for best of drivers, but especially for younger and inexperienced drivers. Additionally, make sure your tires are in good, driving condition. Check tires for uneven wear and low pressure, and make sure to have a spare or a pump in your trunk for emergencies. Finally, and most importantly, make sure to use seat belts. When used, seat belts can reduce the risk of death or fatal injury by 45%. If your seat belts are not working the way they once did or require seat belt pretensioner repair, do not delay fixing them. Safety Restore offers a pretensioner repair service that is easy, affordable and fast. 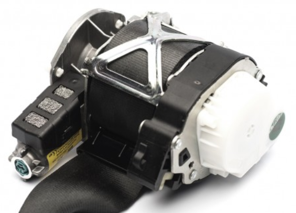 Within 24 hours of receiving your seat belts, the seatbelt pretensioner repair will be complete and your fully functioning seat belts will be on their way back to you. Using only quality products that meet or exceed federal guidelines, you can be confident that your seat belt pretensioner repair will keep you and your loved ones safe. Contact Safety Restore about your seat belt pretensioner repair services today and get back to driving with confidence! This time of the year, many drivers are beginning to winterize their vehicles. From snow tires to windshield wipers, drivers are prepping for the harsh months ahead. However, drivers do not often think about headlights and taillights, which are important safety features on vehicles. Headlights and tail lights are your first defense from other drivers. If other drivers cannot see a vehicle, they will not be able to react to it. Proper maintenance of headlights and taillights not only allows the driver better visibility, but allows others to see his or her vehicle more easily. If you cannot remember the last time you replaced your headlights and taillights, now may be the time for an upgrade. There are a variety of types of headlights, and if drivers would like to see better, they should look into the different options. Options such as brighter light or a whiter light helps drivers by contrasting the road better or increasing how far out a driver can see. The general rule is that headlights and taillights should be replaced before they burnout. This is because with on side out, drivers are already at risk since others on the road cannot see the enormity of their vehicles. Moreover, if one headlight or taillight is out, both should be replaced. Headlights especially become more dim as they age. Thus, if only one headlight is replaced there will be uneven light coming from that side, which can be a distraction for other drivers and create an uneven field of vision for the driver. Make sure your vehicle’s lights are working; remember, headlights and taillights are your first line of defense against other drivers. While you are checking on your vehicle’s lights, do not neglect making sure your seat belts are maintained. If you need seat belt webbing replacement, Safety Restore can help. Safety Restore offers webbing replacement in a variety of colors: from exotic colors like pink and purple, to sporty colors like red and yellow, and basic colors like grey, black and beige. Seatbelt webbing replacement is often required if your seat belt has damage to the webbing or simply is beginning to look outdated. At Safety Restore, seat belt webbing replacement is a painless process that will save you hundreds of dollars compared to dealerships. With a 24-hour turnaround time, your seat belt webbing replacement will be completed and on its way back to you in no time. Contact Safety Restore about seat belt webbing replacement today! You don’t need to buy a hybrid or an electric vehicle to be more environmentally friendly with your current vehicle. In fact, there are some simple steps you can take to “go green” your current vehicle. Not only will these steps help you reduce your carbon footprint, but to keep your vehicle running for longer. First, always follow your vehicle’s maintenance schedule to reduce emissions from the vehicle and to help cut down on fuel use. Regular maintenance includes: checking your car’s oil and replacing it on time, replacing air filters, maintaining tire pressure and checking engine performance. Keeping a regular service schedule like this can save you money on gas and sure the longevity of your vehicle. Likewise, make sure you are disposing of waste from cars properly. Old tires, batteries, oil and fluids should be properly disposed of. Next, try to extend the life of your vehicle. This should be easy if you follow the first step of properly servicing and maintaining your vehicle. In doing this, you are reducing waste. Additionally, if you have serious engine trouble, you may consider finding a rebuilt or remanufactured engine instead of replacing the vehicle. Not only will this give your current vehicle a new life, but reduce fuel consumption. Furthermore, if your vehicle has been in an accident, it may require seat belt repair after accident. Safety Restore provides seatbelt repair services after an accident for any make or model of vehicle. Without seat belt repair after accidents, seat belts may not work properly, which places everyone in the vehicle at risk of injury upon impact or sudden stop. Promote the longevity of your vehicle and of your life with a seat belt repair service. With Safety Restore, your seat belt repair after accident will be completed using materials that meet, and often exceed, federal guidelines. Within 24-hours of receiving your seat belts, your seatbelt repair will be complete and on its way to you. Do not wait for another accident – Contact Safety Restore about seat belt repair after accident today! While gas prices are at relative lows today, they are not at the lows drivers saw 20 years ago. It is difficult to imagine that $1.30 per gallon was once considered expensive. Today, the price of gas has remained relatively stable, but these prices are projected to rise soon. Unless you are driving an electric vehicle, this can mean increased cost to you. However, with a few simple steps, you can begin to reduce your fuel consumption and start saving money today! You can increase your vehicle’s gas mileage by about 4% by keeping your vehicle’s engine well maintained. If you begin to use the motor oil that is suggested by your vehicle’s manufacturer, you can increase your gas mileage by around 1-2%. By keeping your tire pressure at proper inflated levels, your gas mileage can increase by around 3%. Maintaining and replacing air filters can improve your gas mileage by improving acceleration. Finally, make sure your vehicle’s gas cap works properly. A faulty, damaged, or missing cap causes gas to vaporize. Making this easy and cheap fix can increase your gas mileage by up to 40%! Safety Restore understands that properly maintaining your vehicle is the cornerstone of vehicle ownership, which is why they offer seat belt webbing replacement service. You may be in need of seatbelt webbing replacement service if your seat belts are no longer functioning properly, are frayed, are stained, or you simply want to change the color of the webbing. Seat belt webbing replacement is offered in a variety of colors aside from beige, grey, and black. From pink and purple, to green and yellow, Safety Restore’s webbing replacement services have the color for you! Safety Restore uses only quality products approved by federal guidelines to ensure quality and customer satisfaction for their seat belt webbing replacement service. Contact Safety Restore today if you are in need of seat belt webbing replacement service! How often do you think about your vehicle’s brakes? Brake Safety Awareness month was in August. If you missed it, don’t worry because Safety Restore has broken down the signs you need to look out for to see if your brakes need changing. While brakes should be checked at least once a year by a professional, there are signs you can look for to make sure your vehicle’s brakes do not need to be changed. Below is a summary of the most obvious signs to look out for. If you have any of these signs, it is likely time to get your brakes replaced. The first sign to listen for noise. When braking, you may hear a screeching, clicking or even grinding noise. The next sign is vibration in the pedal when braking. The pedal may be low and almost touch the floor mat before the brakes are activated. Conversely, the pedal may also be hard and require more force than is usual to engage the brakes. The sign may also present itself as a grab at the lightest pressure on the pedal. Additionally, the vehicle may gravitate or pull to one side during braking. Finally, the most obvious sign that you need to replace your brakes are if your brake light has come on. Do not neglect your brakes, as they are one of the most important features of your vehicle. While you are checking your brakes, you should also consider making sure you are not in need of SRS airbag module reset. During an accident, the collision center sends a signal to the SRS airbag module to deploy airbags. Once airbags have been deployed, an airbag module reset or replacement is necessary. 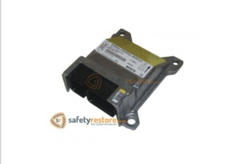 Most dealerships will recommend SRS airbag module replacement; however, Safety Restore offers SRS airbag module reseting that is affordable, fast, easy and reduces waste. Using OEM factory installed program, Safety Restore’s SRS airbag module reset service erases the collision data. SRS airbag module reset can save you upwards of $1,000! If your vehicle requires its SRS airbag module reset, contact Safety Restore today! Gas prices have remained stable throughout the last few years. However, we all know that prices will increase around the holidays as there will be more travel. If you drive a vehicle that requires gas, you will likely feel the financial burden of increased prices soon. However, there are some driving habits you can incorporate to increase fuel economy. Driving calmly and following the speed limit can decrease gas consumption. Unnecessary acceleration and braking consumes a lot of gas and rarely does anything to improve driving time. Speed limits between 45-60 miles per hour maximize fuel economy; after 60 miles per hour, your gas consumption increases greatly. By going with the pace of traffic or following the speed limit, you can improve your mileage by up to 30% on the highways and 5% in the city. Next, pack only necessities and avoid roof racks. Added weight decreases fuel economy. In fact, every 100 pounds can decrease fuel efficiency by 1-2%! Roof racks especially hinder fuel economy because they not only add weight, but cause aerodynamic dragging. Thus, unless you are using the roof rack for a specific trip, leave it at home or try to fit your cargo into the trunk. In addition, limit air conditioning use by using your vehicle’s own ventilation system. When driving at lower speeds, you can also open the windows for ventilation. Air conditioning can hinder fuel economy by up to 20%! Similarly, do not let your vehicle idle for long periods of time. Ten seconds of idling can use as much gas as it takes to restart the vehicle! By turning off the car and waiting, you can increase your fuel economy. Fuel economy habits are important, but not as important as maintaining your seat belts. 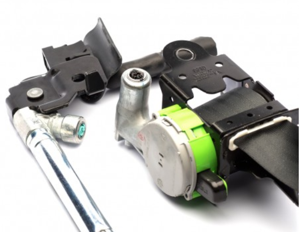 If your seat belts are in need of seat belt tensioner repair, do not postpone this fix. Safety Restore provides seatbelt tensioner repair that can leave your seat belts as good as new. 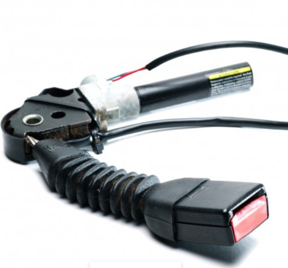 Seat belt tensioner repairing is necessary when seat belts do not retract automatically or retract slowly. This seemingly innocent problem could mean an injury or death in an accident. Safety Restore’s seat belt repair is rapid and affordable. 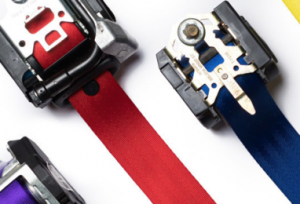 With a 24-hour turnaround time and quality products that meet or exceed federal guidelines, your seatbelt repair will ensure the full safety of seat belts. Contact Safety Restore today about seat belt tensioner repair! One of the first aspects to wear out on any vehicle are the tires. Maintaining tires with good tread, checking tire pressure and maintaining suitable alignment are necessary and vital aspects of vehicle ownership to prolong longevity. Here is how you can maintain your tires. Tires are essential to provide handling and traction on an automobile. Thus, make sure your tires are not bald. To check your tire’s treads, all you need is a penny! Place the penny into the tire treads with President Lincoln’s head closer to the tire. If President Lincoln’s head is above the tire tread, then you likely need your tires to be replaced. Next, maintain your vehicle’s tire pressure. Again, the tire pressure that is too low will wear unevenly, needing to be changed sooner. Car experts recommend drivers check their tire pressure every month, and more often during sudden temperature changes. You should also be sure to check the pressure of your spare tire. Ensuring your tire pressure is satisfactory will reduce wear, decrease fuel consumption and allow the driver to have better handling. In addition, make sure your vehicle’s alignment is not off. Experts recommend checking your alignment once a year. Signs that your alignment is off are: if the vehicle shakes at all when driving and/or if the vehicle gravitates or pulls toward one side. If the alignment is off, it could increase tire wear. Good alignment means better vehicle handling and decreased gas consumption. Finally, while checking your vehicle’s tires, do not neglect checking if your vehicle requires seat belt webbing repair. Seatbelt webbing repair can be essential if your vehicle’s seat belts are malfunctioning, have ripped webbing, frayed or are just dirty and stained. 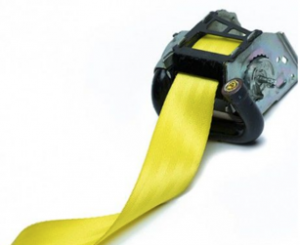 Safety Restore offers seat belt webbing repair services on all makes and models of vehicles. With webbing in colors from yellow to black, Safety Restore’s webbing repair can match or customize any vehicle’s interior. Using seat belt webbing that meets or exceeds federal guidelines, Safety Restore’s fast and affordable seat belt webbing repair will leave your seat belt as good as new! Contact Safety Restore today about seat belt webbing repair! Most drivers have experienced the dread of a dead battery. Batteries always seem to die at the worst times, such as on a cold morning before work. Dead batteries are a nuisance to drivers; however, drivers can take steps to promote the longevity of their batteries. First, drivers should always check their batteries when weather changes. Extreme temperatures damage batteries in different ways. Cold air thickens engine oil, and this oil becomes harder to move and turn. While cold is harmful to the battery, heat will also do damage. Extreme heat causes fluids to vaporize and evaporate. As a result, the internal structure of the battery becomes damaged. Thus, whenever the temperature changes drastically, drivers should be prepared to check on their batteries. In addition, drivers should be sure not to overcharge their batteries. Overcharging can also affect the longevity of your battery. If there is a defect with a part of the charging system’s voltage regulator, charging can occur at a rate that is too high. The result of this is a battery that dies slowly. Furthermore, there are simple things drivers can do to attempt to promote the life of their batteries. Whenever you charge your battery, check to make sure the electrical system is functioning at the appropriate rate. If you have a battery which needs to be topped off routinely, build these checks into your schedule so you do not forget. You may also consider adding distilled water when it is needed. When it comes time to replace your battery, it should be replaced with one that is rated as high as the original one. If the lights on your vehicle become increasingly dim (headlights, interior lights), you likely need to check your battery. The same goes if the check engine light comes on. Finally, keeping your battery clean increases battery life. Debris and dirt become conductors when they get into the battery, and drain battery power and lead to corrosion, which prevents flow. Like batteries, airbags are essential to vehicles. If your vehicle requires airbag module reset, you cannot procrastinate fixing it. SRS Airbag module reset is necessary in vehicles that have been in accidents or impacts. Whether you were in an accident or purchased your vehicle from an auction, Safety Restore can provide airbag chip reset for you. Instead of spending $1,000 on a new airbag module from a dealership, Safety Restore provides airbag module resetting and essentially restores the original airbag module by erasing all the stored data. 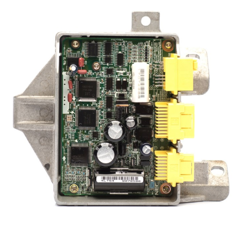 Safety Restore uses factory OEM software to complete your module reset, leaving your airbag module as good as new! Contact Safety Restore about having your airbag module reset today! Think about how much time you spend in your vehicle on a daily basis. Now consider all the time your friends and family spend in your car. All that time amounts to mess: smudges on the windows, scratches throughout, dirt on the ground, dust, and perhaps even spilled drinks and food. No matter what size your vehicle is, it is still small enough to amass mess quickly. Keeping your car clean is easier than you think by adding a few simple habits. First, try to prevent the mess before it occurs. Avoid messy activities, like eating in your vehicle and make sure to use travel mugs that do not spill. Avoid clutter by emptying your car of things on a daily basis. If you need to have a car full of things, you may consider a car hook or a hanging organizer for the back of your seat to organize everything into. Adding a plastic bag in your car for trash can also be a lifesaver and keep trash off the floor or seats. These simple changes can preserve the upholstery, rugs and the general interior of your vehicle. Next, adding simple cleaning rituals can keep your car always looking new. For this, you can keep microfiber cloths in your car with a cleaner to wipe down your dash, leather, and anything else that accumulates dirt or dust. By keeping these supplies in your car, you can fit in a few minutes to wipe down your car when you are waiting in the drive-thru, in the pick-up line at school or just sitting in traffic. This will ensure that dust and debris never gets out of hand. Microfiber cloths are also incredibly handy in the unfortunate event of a spill. Furthermore, you may also consider a few affordable upgrades to your car to increase your vehicle’s interior. Waterproof mats can protect your mats and floor from dirt, spills, and debris. Similarly, seat covers can preserve your upholstery or leather. However, these upgrades are optional and it is possible to keep your car in good condition by following the steps outlined above. Nothing looks messier in a car than a malfunctioning seat belt that does not retract properly. If your vehicle is in need of seat belt retractor repair, Safety Restore can help. 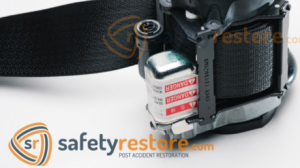 Safety Restore offers seatbelt retractor repair that is affordable, fast, and simple. To initiate this process, just remove your seat belts and send them to Safety Restore. Upon receiving your seat belts, Safety Restore will complete the seat belt retractor repair within 24 hours and send them back. 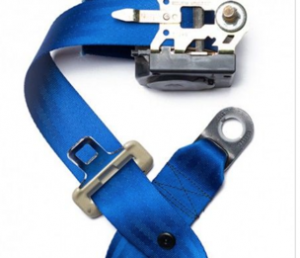 Safety Restore only uses products that meet, and often exceed, federal guidelines for seat belt retractor repairing. Unlike mess, seat belt retractor repair is not superficial. Malfunctioning seat belts can result in injuries or death in an accident. Do not delay, and contract Safety Restore today about seat belt retractor repair today. We have all seen the stories in the news: another parent unintentionally leaves his or her child in a vehicle on hot day, and tragically, the child dies. The technical term is Vehicular Heatstroke, or broadly, hyperthermia. Most parents do not think this will happen to them, and usually the parents who this happened to are the first to profess this. However, on average, 37 children die each year due to vehicular heatstroke. Of the children who die, 87% are three years old or younger. Children under the age of one make up 55% of all vehicular heatstroke deaths. Over three-fourths of all vehicular heatstroke deaths happen in southern states; however, experts all agree that this can happen anywhere. Children are especially susceptible for Vehicular Heatstroke. First, children’s temperatures rise at a rate 3-5 times faster than temperatures of adults. This fact, coupled with the fact that temperatures can rise as quickly as 20 degrees in just ten minutes, creates danger to children. Moreover, Vehicular Heatstroke can happen in cooler temperatures, with experts warning that it can occur even if outside temperatures are 57 degrees. Parents can be diligent about ensuring they do not allow this to happen to their child. Parents should be extra cautious with any changes in routine. Placing a child’s toy in the front seat can also serve as a reminder, or placing an item you need (like a cellphone, purse, briefcase) in the backseat can make parents check their back seat before going off to work. Finally, a simple habit of looking before locking car doors can save children’s lives. About 19 states currently employ a Good Samaritan Law that protect individuals who reasonably intervene when they see a child alone in a vehicle. These states include Vermont, Florida, Virginia, South Carolina, Alabama, Kentucky, Texas, Arizona and Oregon. However, even if your state does not have a Good Samaritan Law on the books (states including Massachusetts and Connecticut and California), people can always contact law enforcement and notify them of the child in the vehicle. Car safety is vital in all aspects. Aside from taking the steps outlined above, parents should also ensure their seat belt buckles are not in need of repairs. If your vehicle requires seat belt buckle repair, Safety Restore can help. Safety Restore offers fast, affordable, and simple seatbelt buckle repair. Drivers simply need to detach their seat belts and send them to Safety Restore for seat belt repair. With a 24-hour turnaround time, your seatbelt repair will be complete and on its way back to you so you can get back on the road. Safety Restore uses products that meet, or more likely, exceed federal guidelines for all their services. Do not delay your seat belt buckle repair; seat belts are vital to the operation of a vehicle, often preventing death or serious injury. Don’t risk your precious cargo – Contact Safety Restore about seat belt buckle repair today.